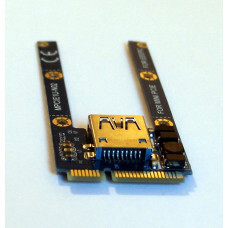 The Technoethical miniPCIe to USB Adapter Card is a device that enables connecting regular USB A devices inside laptops, to miniPCIe slots that have USB electrical connectons (most fairly recent laptops are compatible). The only thing you need to check is whether your laptop has all the required physical space for the USB device to fit in. You can also use an USB extension cable, and fix the USB device on some other available space, or even externally. 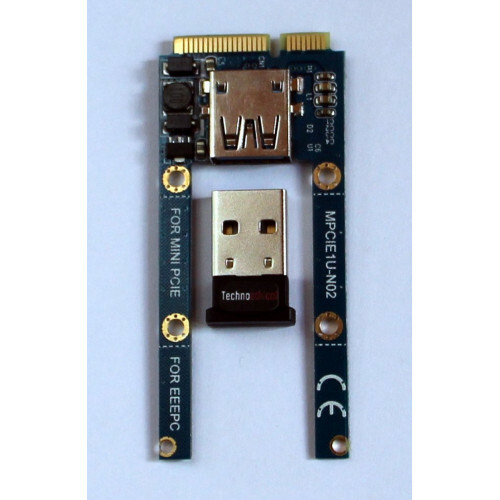 The most scenarios are to have the Technoethical Nano Bluetooth 4.0, nano wireless USB mouse receivers or nano USB flash drives inside of laptops.